The Temple Gift Shop is open from 10.30 a.m to 4.30 p.m daily, and from 10.30 a.m until 7 p.m on Wednesdays and Sundays. The Temple Office is open from 10.30 a.m to 4 p.m daily and from 3 p.m to 6.30 p.m on Sundays. 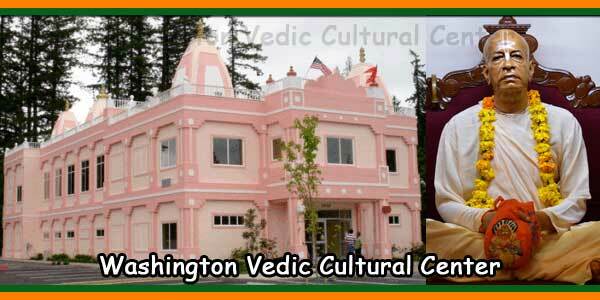 In 1981 ISKCON moved from their centre in Rose-Hill to the famous “White House” building in Quatres Bornes. Until then, devotees had only rented small houses as preaching centres and to move to such a prestigious location was a big step forward for the society. 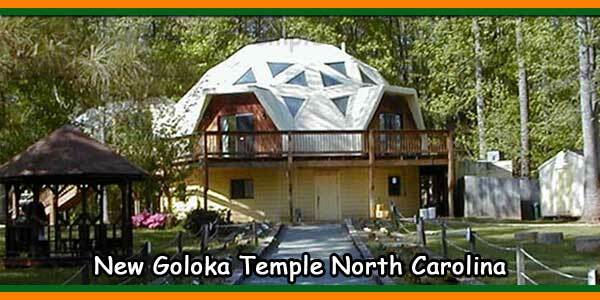 Sri Sri Radha-Golokananda were installed in White House two years later. Many devotees then joined the temple and the Sunday Feast programme started attracting many guests. 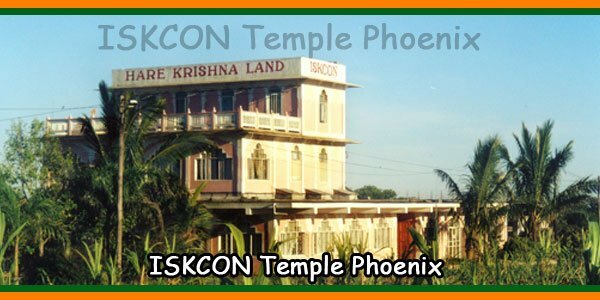 In 1984 ISKCON purchased an agricultural plot of 6 ¼ acres in Phoenix, hoping to one day construct a grand temple for Sri Sri Radha-Golokananda there. At that time, there was nothing but sugar-cane fields all around. The devotees worked hard to cover the partial loan taken to purchase the land and several devotees even went to South Africa and France to participate in different fund-raising activities to cover the amount needed. In the meantime, 1987 the contract with White House was terminated, Sri Sri Radha-Golokananda were temporarily transferred to the ISKCON Vedic Farm at Bon Acceuil. 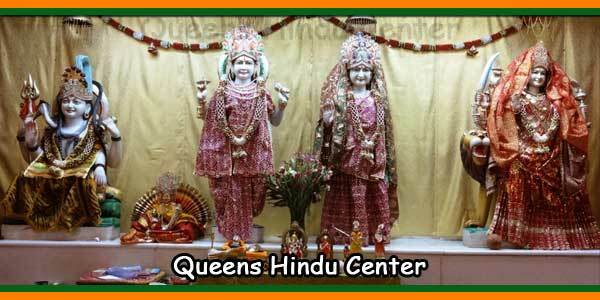 Devotees moved to smaller rented centres, first at La Rosaire, Quatres Bornes and then to Dr. Lister Lane also in Quatres Bornes, while construction of the first phase of Hare Krishna Land at Phoenix began. 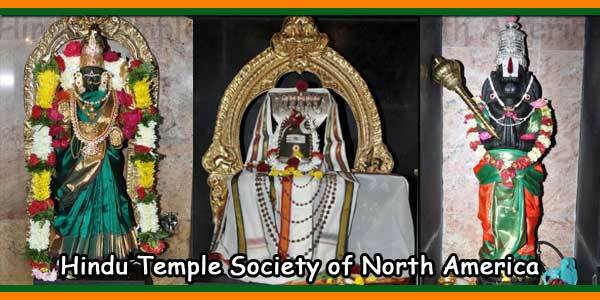 The foundation stone for the new temple was laid in 1988. 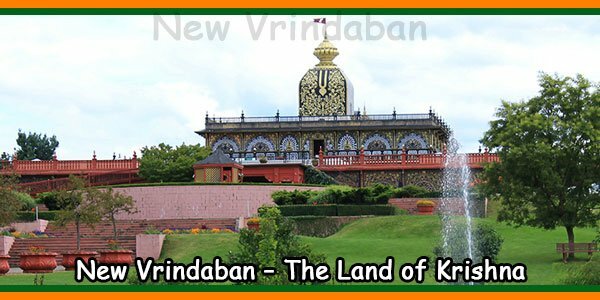 In 1990,on the eve of Janmasthami when the first phase of Sri Sri Radha-Golokananda’s temple was completed, the Deities were welcomed to Their own temple, named Hare Krishna Land, in Phoenix. 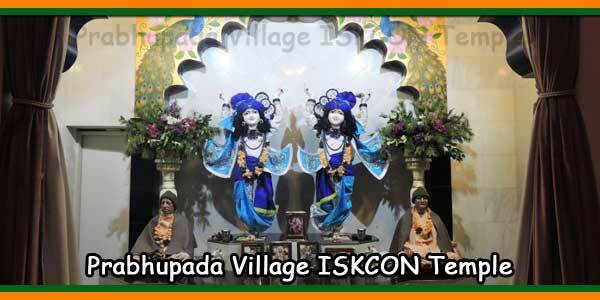 One of ISKCON’s first activities was the “Sunday Love Feast”. Every Sunday afternoon, Srila Prabhupada would personally cook a feast for the devotees and guests. He would sing the Hare Krishna maha-mantra, speak on Bhagavad-gita and end the afternoon with sumptuous servings of Indian vegetarian preparations. 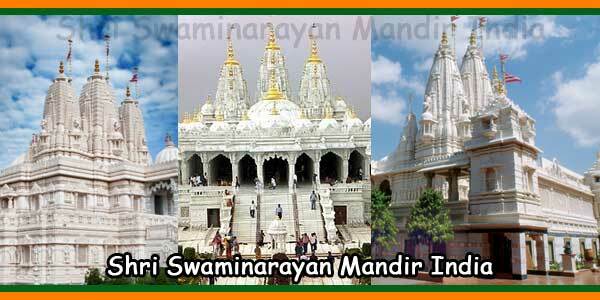 His programme was a great success and ever since, the Sunday Feast has been celebrated in temples around the world. Our Phoenix temple warmly invites you, your family and friends to come and enjoy a Sunday Feast programme of chanting, dancing and discussing spiritual topics with us. Your children can enjoy the activities offered by our Sunday Gurukul. In Vedic culture, it is very auspicious to serve prasadam (sanctified vegetarian food) to others. Devotees and well-wishers are very eager to sponsor the Sunday Feast, often to celebrate a special occasion in the family like a birthday or in honour of a departed relative.